Timeshare Workers Are Entitled to Overtime Pay! The economy is booming, consumer spending is up yet some stingy employers still refuse to pay workers overtime. A 1930’s Depression ear statute, the Fair Labor Standards Act (FLSA), makes those practices illegal. Unless exempt, most workers are entitled to be paid overtime for all hours in excess of 40 hours during a 7 day period. The law includes most sales people working for timeshare companies. Jackeline Lopez worked for a Florida timeshare company called Holiday Lounge. Located in Miami, Florida, the company markets vacation packages to people throughout the United States. A timeshare is typically a resort condominium unit in which multiple parties hold rights to use the property and each owner of the same accommodation is allotted a fixed period of time to use the condo. According to Ms. Lopez, she was hired by Holiday Lounge as a “loan verification officer.” Later she became a sales representative. Both positions involved a base pay plus commissions. She claims that she worked 50 hours per week but never received overtime pay. Her case was just filed last week. Many salespeople believe they are not entitled to overtime. In fact, employers will often tell their workers that they are exempt. Not true. In fact only true outside sales reps are exempt. The typical timeshare rep works from either an office, the resort site or their own home. Most sales calls are done by phone or computer. Thus they are not exempt. Timeshare workers have long been an issue for the Department of Labor. In 2007, the agency released an opinion letter on timeshare workers and whether they were entitled to overtime. In finding that timeshare workers were entitled to overtime, the Department looked at three types of sales reps.
“You describe three very similar groups of employees whose primary duty is to promote and to sell timeshare interests in resorts to prospective owners. The first group of employees, Group One, works from locations some distance (two to five miles) away from the resort sites. Groups Two and Three work primarily at the resorts. Group One employees greet the “prospects,” who have been scheduled by employees not at issue here, at the sales office and show them an introductory film. “Group One employees do not have an “office” at the sales office, but merely gather at the facility a few minutes before they are scheduled to meet the prospects. After the film, the salesperson drives the prospects to the resort and gives them a tour of the property, including the residences, buildings and grounds, streets, walking paths, spas, golf courses, and other facilities the resort property offers. After touring the property and if the prospect decides to purchase a timeshare interest, the Group One salesperson returns the prospects to the sales office to handle the closing process. The total process takes 2-3 hours, and the average salesperson gives 1-3 tours a day for a total of 30-40 hours a week, but may work more from time to time. “Group Two employees perform work almost identical to that performed by Group One employees, except that Group Two employees meet the prospects at the resort instead of at the off-site sales office, and therefore do not drive the prospects to and from the resort. The Department of Labor determined that all three groups were entitled to overtime. Their determination included the sales reps that were onsite and not working from the office. Even though some of the timeshare sellers were at the resort conducting tours, for purposes of the FLSA, the resort became the employer’s place of business. Despite clear guidance for the timeshare industry, Wyndham Worldwide Operations paid $7.3 million last year to settle charges that a class of 2,125 timeshare and vacation rental sales representatives were improperly paid. The Wyndham case was especially troubling after allegations surfaced that the company was altering timecards. Aware of the Department of Labor guidance on timeshare workers, Wyndham reclassified its vacation and timeshare sales staff as nonexempt in 2009. Because upper management was paid bonus based on the company’s bottom line, however, sales management violated the company’s own policies by not allowing workers to clock in for more than 40 hours and at times, even altering time records. Efforts to doctor time records may have spelled doom for the ill-fated plan when a worker was reportedly deemed ineligible for medical benefits because his time cards didn’t show enough hours worked! Under the FLSA, timeshare workers who are victims of wage theft schemes including unpaid overtime or minimum wage violations are entitled to double pay for any unpaid hours and double pay at time and one half for any unpaid overtime hours. The Fair Labor Standards Act also has a provision for the worker’s legal fees. Whether or not you work in the timeshare industry, you probably qualify for the law’s minimum wage and time and one half guarantees. There are exemptions for certain managers, outside sales reps and professionals, however. Don’t rely on your employer to tell you whether or not you are exempt! Many workers are reluctant to step forward because they fear not being able to prove working “off the clock” or because they never asked for overtime. Courts have generally ruled, however, in favor of employees in these situations. As to “off the clock” work, an employer will be held to know what it could have found out if it paid attention to what workers were doing. The legal standard is whether an employer could have learned of the worker’s activities by making reasonably diligent inquiries. Unless an employee deliberately hides working off the clock, most courts will side with workers. Similarly, it is up to the employer to maintain records of the time spent by employees performing work activities. If an employer does not have these records, the employee is entitled to recover based on good faith, reasonable estimates. Regarding “failure to ask,” that is not a recognized defense for employers. You don’t have to repeatedly ask for overtime if you know your employer won’t pay. If you believe you are being denied overtime, give us a call. Simply because your employer says you are not eligible for overtime doesn’t mean what you are being told is true. or by phone (202) 800-9791. 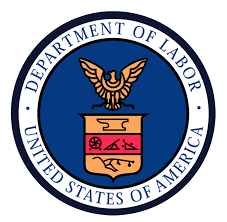 You can also visit our Federal Labor Law Overtime page. All inquiries protected by the attorney – client privilege and kept confidential.